Few studies have investigated bullying experiences among children diagnosed with autism spectrum disorders (ASD); however, preliminary research suggests that children with ASD are at greater risk for being bullied than typically developing peers. 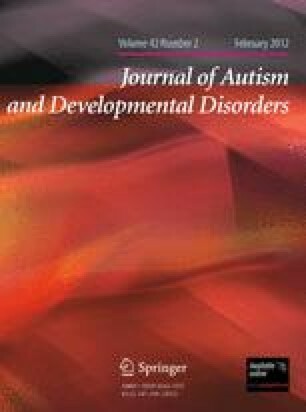 The aim of the current study was to build an understanding of bullying experiences among children with ASD based on parent reports by examining rates of various forms of bullying, exploring the association between victimization and mental health problems, and investigating individual and contextual variables as correlates of victimization. Victimization was related to child age, internalizing and externalizing mental health problems, communication difficulties, and number of friends at school, as well as parent mental health problems. Bullying prevention and intervention strategies are discussed. M. Catherine Cappadocia was supported during the preparation of this manuscript by The Provincial Centre of Excellence for Child and Youth Mental Health at CHEO Graduate Award and Canadian Institutes of Health Research (CIHR) Frederick Banting and Charles Best Canada Graduate Scholarships Doctoral Award. Jonathan A. Weiss was supported by a New Investigator Fellowship from the Ontario Mental Health Foundation. Debra Pepler was supported by Networks of Centres of Excellence through its support of PREVNet (Promoting Relationships and Eliminating Violence Network). Pepler, D. J., & Craig, W. M. (2007). Binoculars on bullying: A new solution to protect and connect children. Retrieved from http://www.canadiansafeschools.com/programs/research.htm.